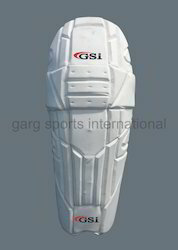 Our batting leg-guards or batting pads are essential for batman’s protection. 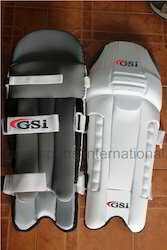 Batting pads are large, protecting shins, knees and lower thigh above knees, with a slot for the foot. 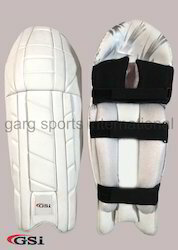 Pads are one of the several protective gears wore by the cricketers while batting. 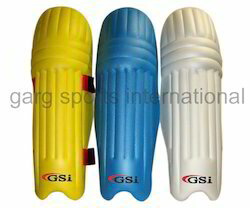 Also known as leg guards, batting pads are wore on the legs by the batsman to protect them from the hard leather ball. We are dealing in the bulk quantity. Material Made up of PVC. Size OSM, Men, Youth, Boy. 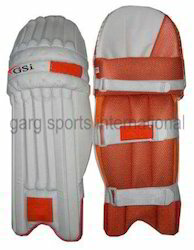 We have firm devout in manufacturing and supplying best quality Cricket Leg Guard or Batting Pad. Our offered pads are well accepted in the market for superior strength and exceptional comfort traits. We fabricate these pads with the potent use of material and technology for their fabrication in various specifications. 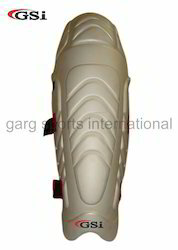 Owing to this aspects, our offered pads are supplied to customers as their demands. Material Made up of PU and PVC both. 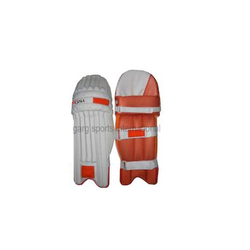 Owing to our expertise in this field, our firm is engaged in supplying an extensive array of Cricket Leg Guard or Batting Pads. 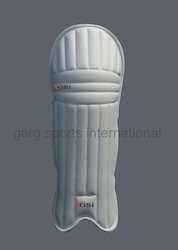 Design High density sponge bolster, Added protection on top hat. 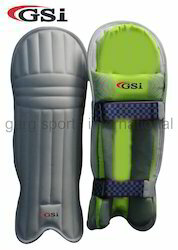 With our expertise in this domain, we are able to offer high-quality Pro Leg Guards. All our products are developed at our state-of-the-art manufacturing facility using the high grade imported polyurethane that is sourced from most trustworthy and reliable vendors of the market. All our products are available in variegated sizes and designs as per customers' requirements.